Events today are inseparable from social media. Social Media is Event Marketer’s BFF. There’s a reason for this. 2 billion users possess active social media accounts today. Social Media is heavily used for self-promotion, and what is a better occasion for selfies and show-off posts than a Live Event? If you’re an event marketer, social media marketing is a must. But before scurrying for the best event hashtag, remember to plan prior to the event, and identify your business goals and map out where your audience is on social media. Before doing anything, consider what your business objective is for using social media “to amplify” live events. Does your target audience actually follow your attendees through social media? If so, which networks? Once you’ve identified the right audience and the right channel, think about what the best message is for your attendees to send and how to make it a no-brainer for them to send it. Simply getting people to share with a hashtag does not equate to positive business impact. There are normally three distinct phases live event social media, each with specific goals. Pre-event you should be building buzz and driving registration/attendance, during the event you should be amplifying event activity, encouraging attendee sharing and following you should be utilizing content captured to extend the event reach. There are countless Social Media tactics you can use to amplify live events, but what unifies these tactics are three core strategies. Social media has changed the way we communicate with each other online. Using hashtags on social media campaigns can reach out to a wide number of audiences with a similar level of interests. As an event marketer, you must create a unique hashtag for your event for attendees to use to communicate with each other online. 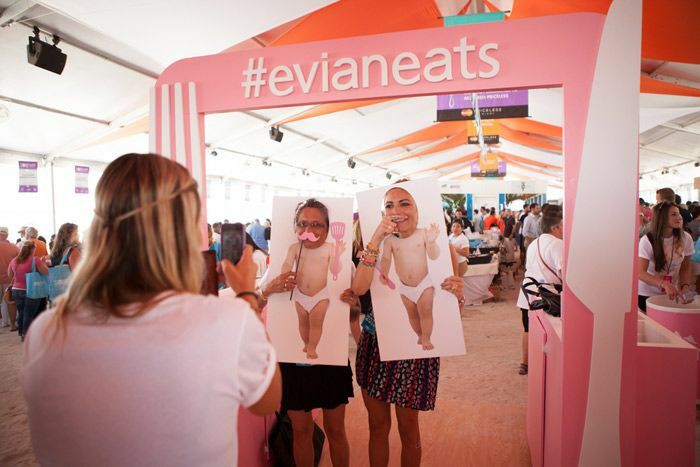 Here’s a great example of raising event awareness through a hashtag that Evian came up with. Remember, a unique hashtag with a unique picture is even better! Make sure you announce the event hashtag repetitively during your program and have it displayed in visible locations like the entrance, near bathrooms, and near the food (people love food!). Some event marketers go all out and create social media handles for their events. 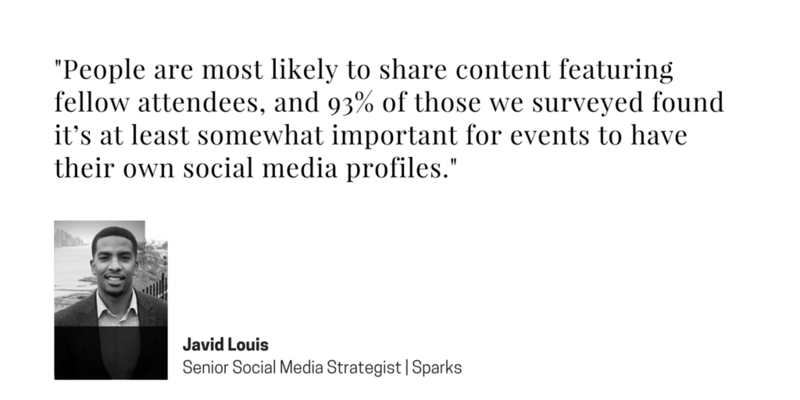 This may be worth-while as 93% of those we surveyed found it’s at least somewhat important for events to have their own social media profiles according to a recent study by Sparks. Pro Tip: Use services like Tagboard to display your curated social feed on a wall. You have attendees, you have a hashtag, but now what? To pull out the ultimate amount of User Generated Content through your event, you must have a core story and a series of content pre-designed by your marketing team. Having a compelling story will encourage people to generate more content and share the event online through social media, compared to an event without a story. Let me give you an example. White House threw a Correspondents’ Dinner party – it’s a gathering organized by White House Correspondents’ Association (WHCA) is an organization of journalists who cover the White House and the President of the United States. Building buzz around a party like this can be hard. WHCA used the very fact that they aren’t, um, “cool” to their advantage and created the hashtag #NerdProm for their event. Now that’s an Event with a story. There are always key opinion leaders and influencers in every niche industry that make or break the party – invite them to your event! This is an easy way to connect and extend reach to local audiences. The key here is to find influencers that are relevant to your brand. Create “The List” – It’s critical that you create a VIP list way before the actual event. Keyhole’s Infuencer feature is a great way to start. It will give you a list of top 1000 influencers relevant to your brand, keyword, or URL on Twitter & Instagram. Customize the Invitation – No one wants to receive a mass e-mail! Influencers are especially picky about emails because they receive countless invites every day. Make sure you show them that you’ve done your homework! Follow up on any RSVP and send reminders leading to the event. Sparks recently conducted an in-depth survey of B2B consumers social media usage around events. We gained some key insights, such as people are most likely to share content featuring fellow attendees and 93% of those we surveyed found it’s at least somewhat important for events to have their own social media profiles. 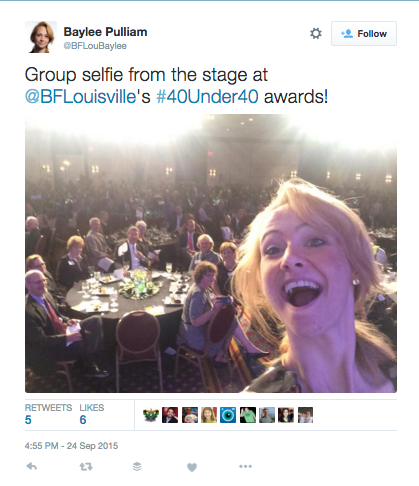 Pro Tip: Encourage influencers to take group selfies with the crowd with your event hashtag. How do you measure success of social media marketing for events? Successful social media marketing around events should be evaluated against business-building objectives tied to pipeline/sales impact, brand affinity, customer loyalty and advocacy. The most effective way to measure the impact of a social media campaign is to show correlation between social campaigns and marketing objectives. Measurable data such as impressions, reach and views are often indicators of performance, but are not necessarily representative of business value. At Sparks, we have a saying that ‘all impressions are not created equal’. Impressions should be evaluated based on how they might have impacted business objectives rather than sheer volume. Also, mentions should be judged by quality and sentiment of what’s being said, rather than how often a message, brand or keyword is mentioned. Measuring the success of social media marketing for events should be part of a broader measurement plan for how your measure the efficacy of your event overall. Hold social media to the same success metrics you would any other initiative that’s part of your event. Pair social KPIs with core business objectives, like brand awareness, increased customer lifetime value or brand preference. 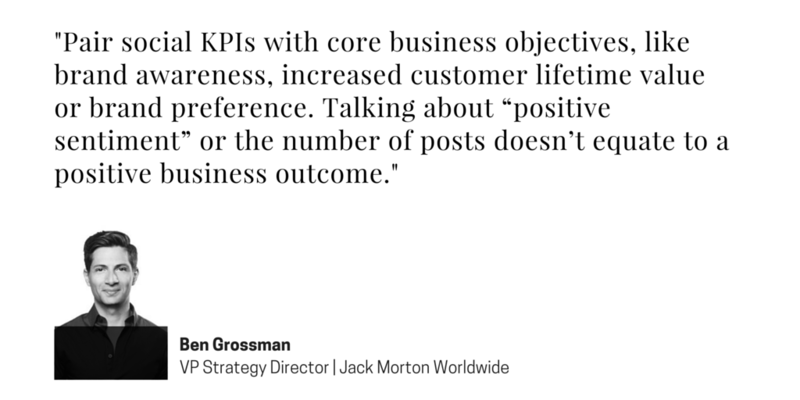 Talking about “positive sentiment” or the number of posts doesn’t equate to a positive business outcome.